Our main research objective is to identify novel cellular vulnerabilities that can be exploited for cancer therapies. For this purpose, we develop innovative genomic and genetic tools. Key targets are non-coding RNAs, mRNA translation, and enhancers. In particular, we employ novel unbiased functional genetic screening approaches, perform mechanistic studies to understand their connection with the cancerous phenotype, and use this information for the development of innovative cancer therapeutic approaches. 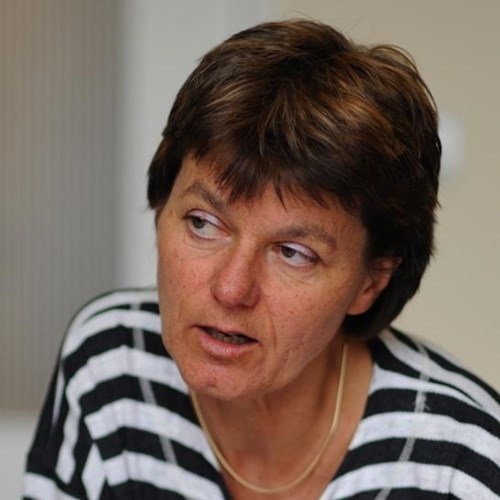 Dr Mariann Bienz became a Senior Staff Scientist at the Medical Research Council Laboratory of Molecular Biology (LMB) in 1991 following a period as a Professor at the University of Zürich in Switzerland. Having acted as Head of the Cell Biology Division, she became Head of the PNAC Division in 2008, and in 2018 stepped down as Head of Division to become Deputy Director. She studies the molecular mechanisms of Wnt signalling. This signalling pathway plays an important role in body patterning and cell fate determination during embryonic development but, if incorrectly activated, also serves as a major cancer pathway. Her work investigating the molecular basis of this pathway may reveal new therapeutic targets for treating cancer. Her early work examined how developmental genes are transcribed in relation to the position of cells in the embryo. Here she pioneered the use of the fruit fly midgut as a model system. She thus discovered an inductive cascade including Wnt signals, which emanates from the visceral mesoderm and patterns the underlying endodermal cells. Mariann has served, and continues to do so, on grant panels and committees of various International organisations, e.g. the Human Frontier Science Programme and the European Molecular Biology Organization (EMBO), and on Scientific Advisory Boards in Spain and Switzerland. 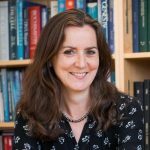 She is currently serving on the Council of the Royal Society and on several of its committees, including the Dorothy Hodgkin Fellowship committee as its chair. She has received the Friedrich Miescher Prize of the Swiss Biochemical Society in 1990. She was elected as EMBO Member in 1989, a Fellow of the Royal Society in 2003 and a Fellow of the Academy of Medical Sciences in 2006. 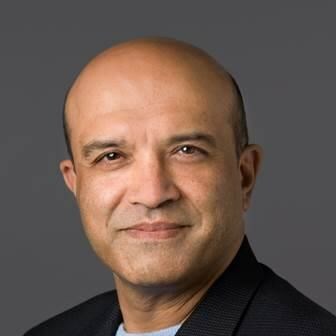 Vishva Dixit has made many contributions to biomedicine and his early work on apoptosis is prominent in introductory textbooks of biology and medicine [for a historical perspective see Nature (2008, 453:271-273) and Nature Cell Biology (2010, 12:415)]. Publications emanating from this work, some designated citation classics, resulted in Dr. Dixit being the second most highly cited scientist in all disciplines in 1996. His laboratory was among the first to: i) show that caspases are components of the death receptor-induced apoptotic pathway; ii) demonstrate that death receptors signal by an entirely novel mechanism of recruiting and activating a death protease (FLICE/caspase-8) by an induced proximity mechanism; iii) identify the mammalian death protease equivalent to the CED3 protein in worms (YAMA/caspase-3) as well as other pro-apoptotic caspases including caspase-6,-7 and -9. iv) identify receptors and signaling pathways engaged by TRAIL, a cytokine that preferentially kills transformed cells; v) show that the death domain-containing molecule MyD88 is a key signaling adaptor; vi) discover paracaspases and metacaspases: two ancient families of caspase-related proteins, one of which plays a key role in MALT lymphoma; vii) confirm that NOD proteins that possess a death-fold are critical components of the inflammasome complex. Born and raised in Kenya, where he trained as a medical doctor, Vishva pursued residency training in Pathology at Washington University in St. Louis, Missouri. In 1986, he joined the faculty of the Department of Pathology at the University of Michigan, Ann Arbor. He moved to Genentech in South San Francisco in 1997 where he is presently Vice-President of Research. Distinguished Professor of Cancer Biology at the University of California, San Francisco in 1999 and in 2009 moved to the UK to take up the Sir William Dunn chair of Biochemistry in the University of Cambridge. Gerard is a member of EMBO, a Fellow of the UK Academy of Medical Sciences and the Royal Society. Dr. Christian Frezza is group leader at the MRC Cancer Unit, Cambridge Cancer Center, UK. 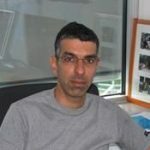 He is mainly interested in the emerging connection between cancer and metabolism. Altered metabolism is not only required to support proliferation but in some instances, can be the leading cause of cancer. By using a combination of biochemistry, metabolomics, and systems biology he investigates the role of altered metabolism in cancer with the aim to understand how metabolic transformation regulates the process of tumorigenesis. His aim is to exploit these findings to establish novel therapeutic strategies and diagnostic tools for cancer. Kristian Helin is the Chair of the Cell Biology Program and the Director of the Center for Epigenetics Research at Memorial Sloan Kettering Cancer Center. 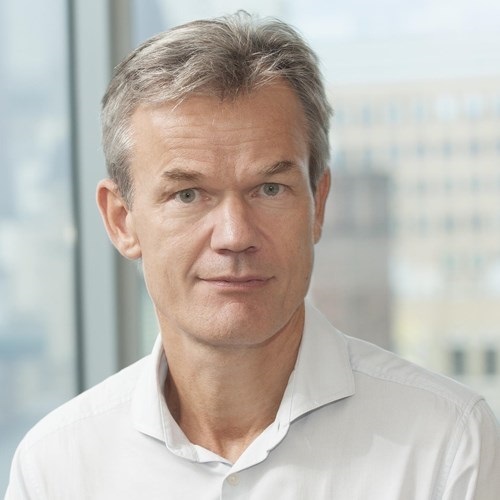 He is also a Professor in Molecular Cancer Biology at BRIC, University of Copenhagen. The research in his lab is mainly focused on the role of chromatin associated proteins (epigenetics) in transcription, cell identity and cancer. 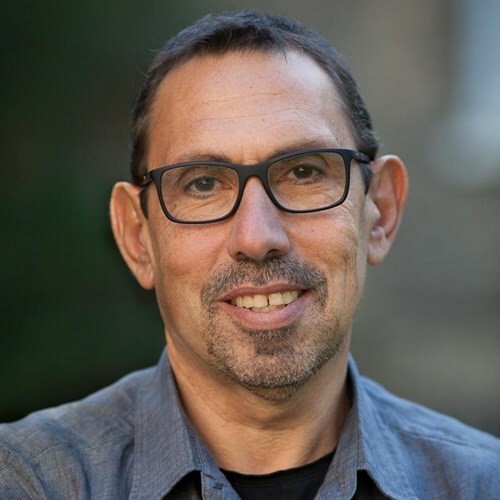 Tony Kouzarides is professor of cancer biology at the University of Cambridge. 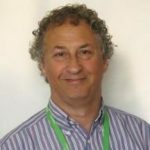 He is a senior group leader and deputy director of the Gurdon Institute and founder/director of the Milner Therapeutics Institute. Tony did his PhD at the University of Cambridge and postdoctoral work at MRC Laboratory of Molecular Biology and New York University Medical Center. His research group at the Gurdon Institute is focused on epigenetic modifications and their involvement in cancer. 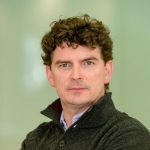 He is on the Executive Board of the Cambridge Cancer Centre and founder/director of Cambridge Gravity, a philanthropic vehicle for science at the University of Cambridge. He is the founder of a cancer charity "Vencer el Cancer" (Conquer Cancer) based in Spain. He is on the Scientific Advisory Board of the Institute of Cancer Research (UK) and of CABIMER (Spain). Tony is a co-founder and director (1998-2012) of Abcam plc, a publicly trading research reagents company in Cambridge, a co-founder and director (2001-2003) of Chroma Therapeutics, of a drug discovery company based in Oxford and a co-founder and director (2016-) of STORM Therapeutics, a drug discovery company based in Cambridge. A. Thomas Look, M.D., is a Professor of Pediatrics at Harvard Medical School and a member of the Department of Pediatric Oncology at the Dana-Farber Cancer Institute, as well as a co-Leader of the Dana-Farber/Harvard Cancer Center’s Leukemia Program. He is the principal investigator on several NIH-funded grants. Over the past three decades, Look has published multiple peer-reviewed papers about the molecular basis of apoptosis in cancer cells and the application of molecular genetic findings to improve the treatment of childhood malignancies, particularly T-cell acute leukemia and neuroblastoma. 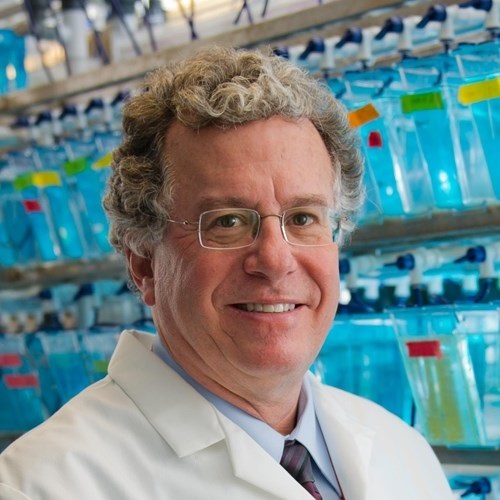 He moved from St. Jude Children’s Research Hospital to Dana-Farber Cancer Institute in 1999 specifically to establish a research program in the zebrafish model. 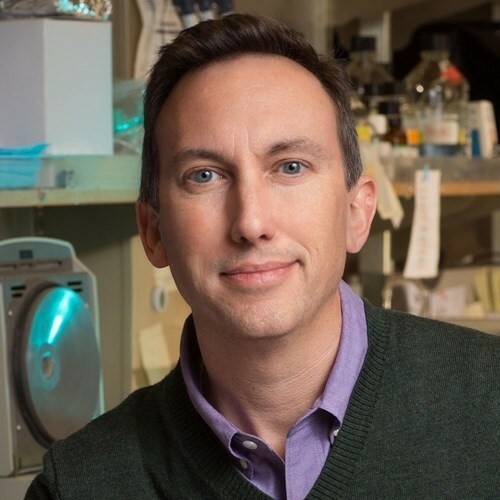 He used this research to conduct genetic studies aimed at the identification of novel targets for cancer therapy, and he is now internationally recognized as a leader in this field. His laboratory has developed the first zebrafish transgenic model of T-cell acute lymphoblastic leukemia and childhood neuroblastoma, opening up the opportunity to apply the powerful genetic technology available in the zebrafish to identify new molecular targets for therapy in these childhood cancers. Look received his M.D. degree and postgraduate training in Pediatrics from the University of Michigan and his fellowship training in Pediatric Oncology at St. Jude Children’s Research Hospital. Prior to his appointment at Harvard, he was a professor at the University Of Tennessee College Of Medicine. 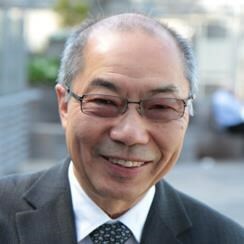 Professor Xin Lu became the Director of the London Branch of the Ludwig Institute for Cancer Research in 2004 and in 2007 established LICR Oxford. She is the Co-Director of Cancer Research UK Oxford Centre and Lead for Oxford Biomedical Research Centre Cancer Theme. 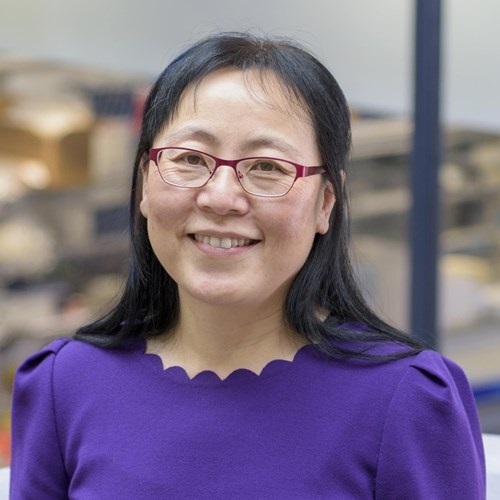 Professor Lu is an elected Member of the European Molecular Biology Organisation (EMBO), Honorary Fellow of the Royal College of Pathologists ((Hon), FRCPath), Fellow of the Royal Society of Biology (FRSB) and Fellow of the Academy of Medical Sciences (FMedSci). Dr. Tak Mak is internationally known for his work in the molecular biology of cancer and the immune system. He is a Professor in the Department of Medical Biophysics and the Department of Immunology at the University of Toronto; the Director of the Campbell Family Institute for Breast Cancer Research at the Princess Margaret Cancer Centre; Senior Scientist at the Ontario Cancer Institute and Professor, University of Hong Kong. Dr. Mak is a world leader in the genetics of immunology and cancer. In 1984, he led the group that discovered the T cell receptor, and his published work on the cloning of T cell antigen receptor genes has been cited over 1,400 times. Since this landmark discovery, Dr. Mak has focused on elucidating the mechanisms underlying immune responses and tumorigenesis. He pioneered the use of genetically engineered mouse strains to identify genetic susceptibility factors associated with various immune disorders or different types of cancer. In particular, his team discovered that CTLA4 is a negative regulator of T cell activation (cited 3,000 times), paving the way for the development of anti-CTLA4 agents now in clinical use for autoimmune diseases. Dr. Mak’s lab also made major contributions to defining the functions of PTEN (cited >3,000 times) as well as the relationship between the breast cancer susceptibility genes BRCA1 and BRCA2 and defects in DNA repair. Most recently, Dr. Mak’s studies of the functions of various gene products in normal and cancerous cells are yielding important information on their biology that is crucial for the identification of new drug targets and the development of more effective cancer therapies. Cristina Muñoz-Pinedo leads the Cell Death Regulation group at IDIBELL in Barcelona, Spain. Her lab explores nutrient deprivation at the cellular level to improve treatment for cancer and ischaemic diseases. 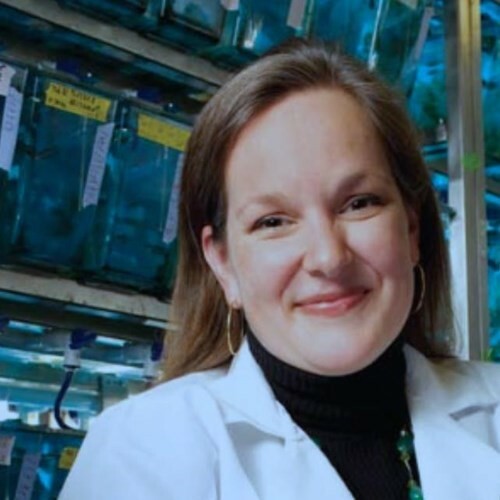 Dr. Kirsten Sadler (Edepli) has pioneered the use of zebrafish as a model to study liver disease and has worked on fatty liver and liver cancer using this system for over 15 years. She completed a B.A. at Mount Holyoke College, a Masters in Medical Sciences at Harvard Medical School and a Ph.D. in Cell and Developmental Biology at Harvard University. She was a post-doctoral fellow with Nancy Hopkins at MIT where she carried out a forward genetic screen to identify genes essential for liver development. In 2006, she joined the faculty at The Icahn School of Medicine at Mount Sinai in NY and was promoted to associate professor in 2013. She then moved to New York University Abu Dhabi in 2015 as a tenured global network associate professor of biology. Her work is funded by the NIH to study the epigenetic basis for liver growth, regeneration and cancer in mice and zebrafish and to study the role of ER stress in fatty liver caused by environmental toxicants. In addition to function as group leader for her lab at NYUAD during the summer, at the Marine Biological Laboratory in Woods Hole, MA, she teaches undergraduates in biology at NYUAD and is a passionate advocate for gender equity in STEM. In 2018, she was appointed the Vice Provost for Faculty Development and Diversity at NYUAD. that reprograms metabolism in low nutrient conditions, and which is altered in a large percentage of lung cancers. Decoding this cellular starvation pathway as led to several new therapeutic targets in cancer and metabolic disease. 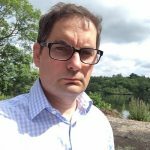 I am a Senior Principal Scientist in the Bioscience group in the Oncology iMed, based at CRUK Cambridge. I have worked at AstraZeneca for 15 years. Scientific interests: EGFR mutant NSCLC, RAS_MAPK signalling, mutRAS cancers in general, drug resistance and drug combinations. Karen received her BSc and Ph.D. in Genetics from Queen Mary College at the University of London working with Lorna Casselton, followed by postdoctoral fellowships with Chris Marshall at the Institute of Cancer Research in London and Douglas Lowy at the National Cancer Institute in the USA. She then became head of the Human Papillomavirus group the Ludwig Institute for Cancer Research in London before moving back to the NCI in 1995, where she was Director of the Molecular Virology and Carcinogenesis Section at the ABL-Basic Research programme and then Chief of the Regulation of Cell Growth Laboratory. 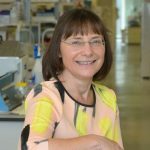 In 2002 she returned to the UK to become the Director of the CRUK Beatson Institute in Glasgow, moving back to London in 2016 to take up the role of Chief Scientist at CRUK and Group Leader at the Francis Crick Institute. Karen has been elected as a Fellow of the Royal Society, the Royal Society of Edinburgh, the Academy of Medical Sciences, EMBO, the European Academy of Sciences, the American Association of Cancer Research, the American Academy of Arts and Sciences and the National Academy of Sciences. She has also received honorary DScs from the Universities of London and Strathclyde and is an honorary Fellow of the Royal College of Physicians and Surgeons (Glasgow). 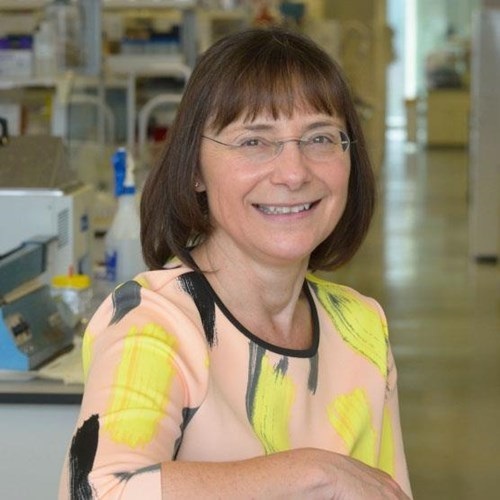 Karen’s awards include the Tenovus Gold Medal, the Sir Frederick Gowland Hopkins Medal, the Royal Medal from the Royal Society of Edinburgh and the Mike Price Gold Medal from the EACR. She was made a Commander of the British Empire for services to clinical science. Professor Anne Willis graduated in 1984 with a degree in Biochemistry from the University of Kent and obtained a PhD in Biochemistry in 1987 from the University of London while working in the Imperial Cancer Research Fund laboratories (now CRUK) on DNA repair with Dr Tomas Lindahl. She then moved to Cambridge to work with Professor Richard Perham in the Department of Biochemistry, where she also held a Junior Research Fellowship and then a College Lectureship at Churchill College Cambridge. Anne was appointed to her first independent position in 1992 as a Lecturer in the Biochemistry Department at the University of Leicester, progressing to Reader in 2002 and Professor in 2004. In 2004 she was appointed Director of Cancer Research Nottingham and Chair of Cancer Cell Biology, where she was based in the School of Pharmacy. In 2010 Anne became Director of the MRC Toxicology Unit, which is currently based in Leicester. The Unit will become part of Cambridge University in March 2018 and will relocate in 2019-2020. 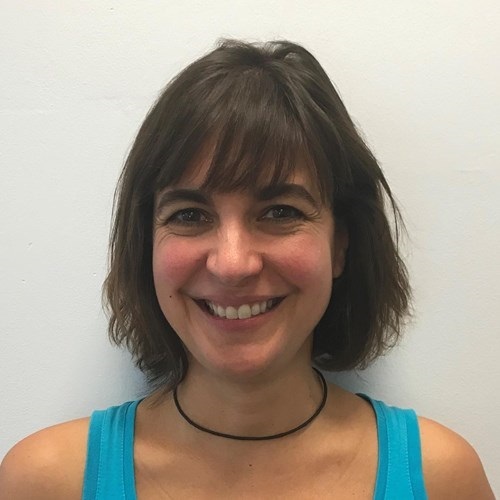 Anne’s research in the Unit is directed towards understanding the role of post-transcriptional control in response to toxic injury with a focus on RNA-binding proteins, regulatory RNA motifs and therapeutic RNAs. In addition to her Unit programme, Anne holds a Wellcome Trust Investigator Award.